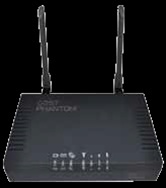 Standard communicator for all GOST Insight HD & GOST Watch HD 3G Packages. This communicator is quad band which means it will work globally on any GSM network. It will provide a high quality voice connection as well as a high speed 3G internet connection over the cellular data network.The unit has a rechargeable internal battery back up and can be powered off 12 Volts DC or 110 or 230 Volts AC.